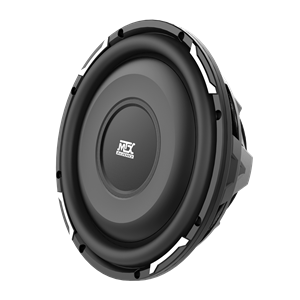 FPR Series shallow mount subwoofers offer both the convenience of a shallow mount design with the awesome low frequency bass output that MTX has built its reputation on over our 40 years in the car audio industry. The FPR series subwoofers are only 3.325" deep, are optimized for sealed enclosures, and require as little as 0.6 cu ft of air space to function. 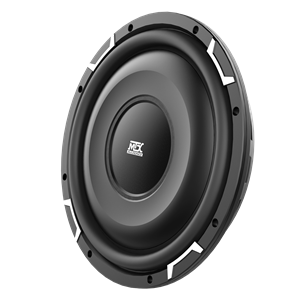 Unlike other shallow mount subwoofers, the FPR series delivers real bass, as low as 22Hz, so you can be confident knowing you are buying a high quality subwoofer rather than what is offered by "the other guys".